Ships today if you order in the next 15 hours 22 minutes. The antioxidant power and other beneficial properties of turmeric are all thanks to a component called curcumin, which is found in the common spice. 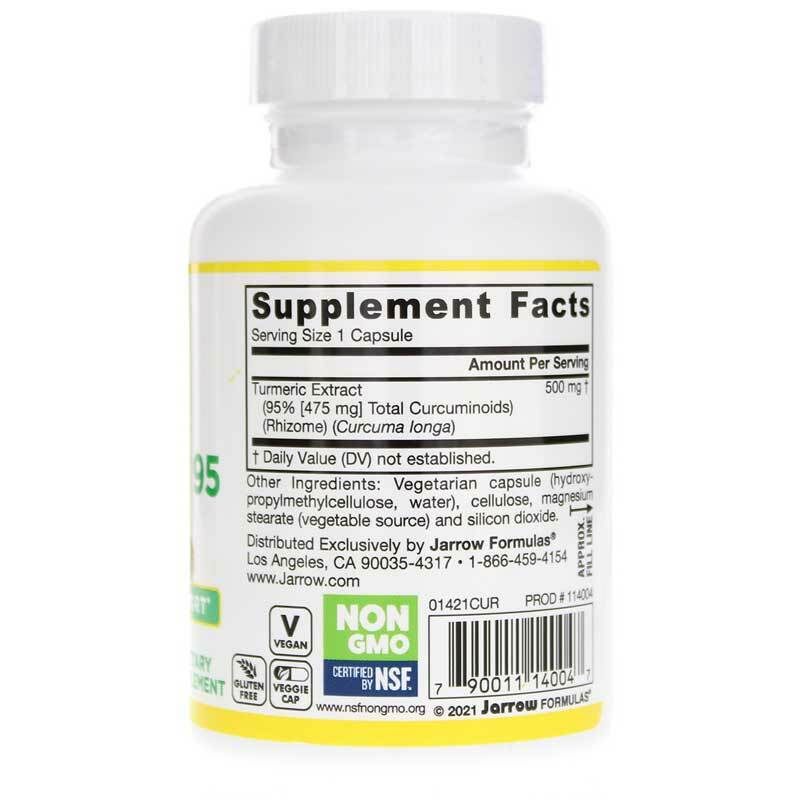 With Curcumin 95, Jarrow Formulas has focused the benefits of this natural health resource into 95% curcuminoids. The possibilities connected to curcumin are very encouraging, and researchers continue to find new ways in which this plant-derived ingredient can be used. It is the most frequently mentioned phytonutrient in scientific literature. This supplement could help protect your DNA from oxidative damage. Since it has the ability to reduce swelling, it may be a reliable product for occasional pain relief in muscles and joints. 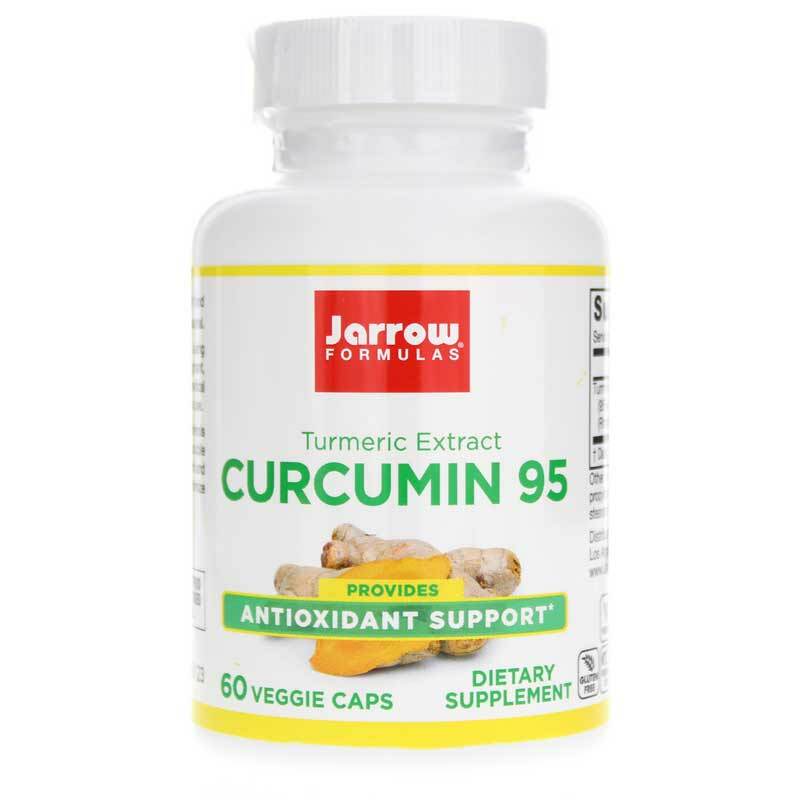 Try Curcumin 95 from Jarrow Formulas today! Other Ingredients: Cellulose, magnesium stearate (vegetable source) and silicon dioxide. Capsule consists of hydroxymethylcellulose. Contains NO: GMOs, wheat, gluten, soybeans, dairy, egg, fish/shellfish, peanuts/tree nuts. Suitable for vegetarians/vegans. Adults: Take 1 capsule per day with food or as directed by your qualified healthcare consultant. If you have a medical condition, are pregnant, lactating, trying to conceive, under the age of 18, or taking medications, consult your healthcare professional before using this product. Keep out of the reach of children. 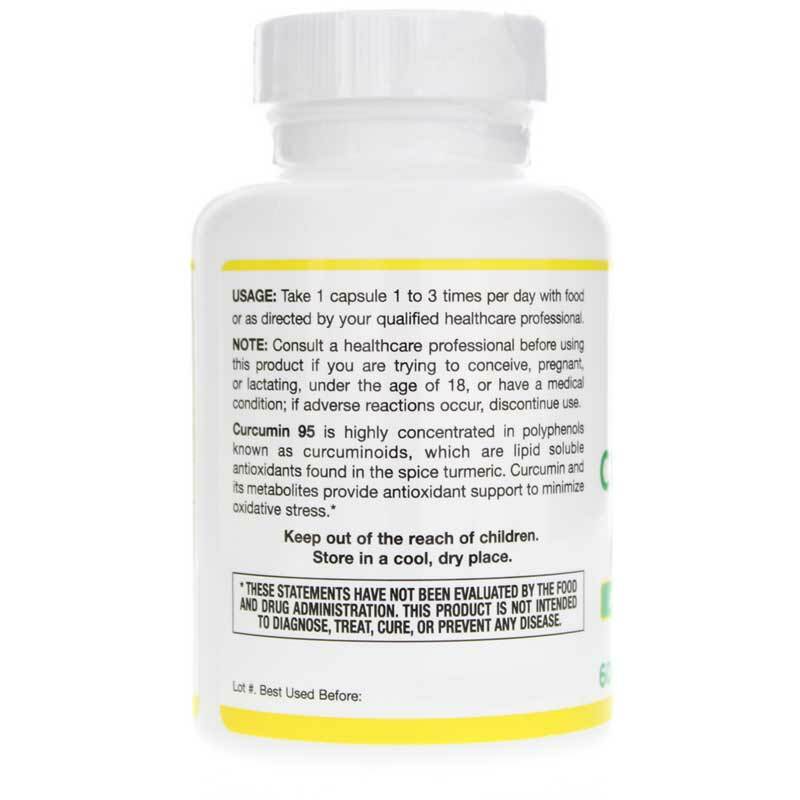 My physician recommended Curcumin. I must say, it works! Especially Jarrows formula. Better results than any pharmaceutical drug I've tried. I have used other brands of curcumin but the Jarrow Formulas brand has been the most effective. for dealing with my pain caused by inflamation. I really trust the integrity of the Jarrow brand.